Vegetables crops are grouped into families. 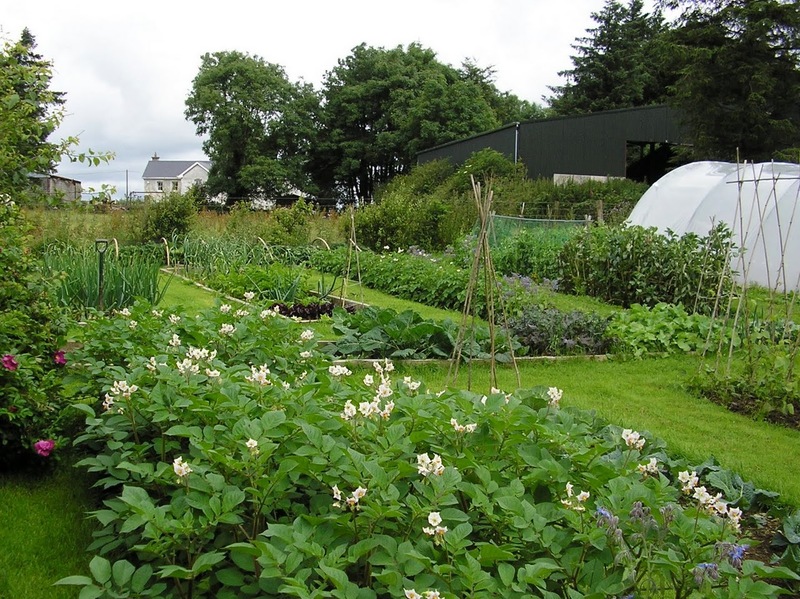 Crop rotation simply means that related annual vegetables are grown together in their families and their positions moved around the plot once a year (or more). It helps to prevent pests and diseases that live in the soil. 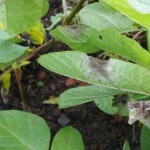 For example, two major worries in vegetable growing are clubroot disease in Brassica crops (cabbage type plants) and the nematode known as eelworm in potatoes. If the crops are grown in the same place each year, the chances of these problems occurring are much greater. 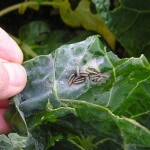 By moving them around annually and only growing them in the same ground every four years of so, the pest and disease life cycles should be broken. It stops the soil becoming drained of nutrients that the same plants would use every year. Crops can follow each other that will benefit each other. E.g., bean and pea roots hold lots of nitrogen. 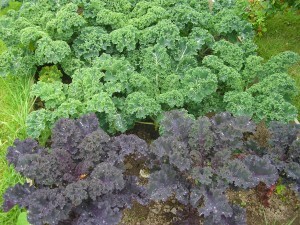 If their disease free roots are left in the ground once the crops have been harvested, the Brassica that will follow in the next rotation will reap the rewards by producing lots of leafy greens. Also Brassica like soil that’s consolidated so by leaving the legume roots behind and thus causing little disturbance to the soil, the Brassica that follow will root better. If vegetable families are grown together, it’s likely that the soil for each will need to be treated in the same way and that they will be prone to the same pests and diseases so can be treated together easily. 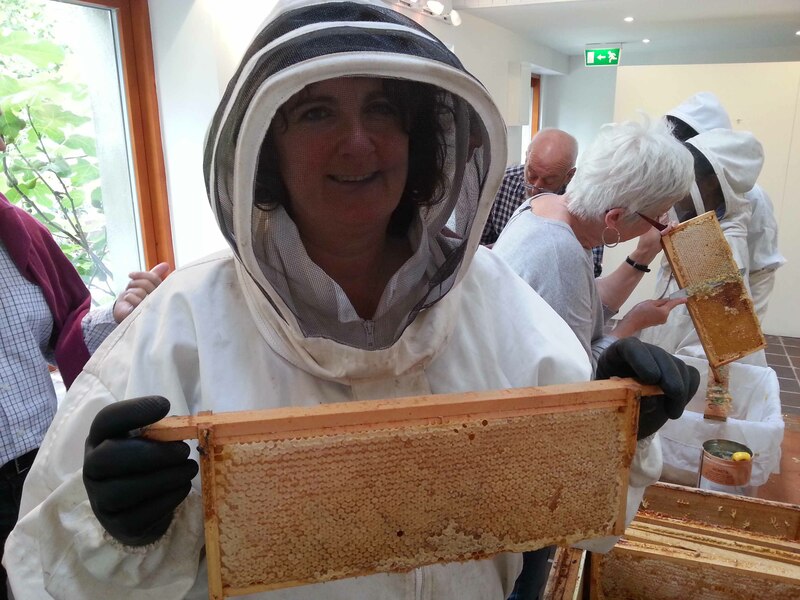 Anything else can be fitted in such as sweetcorn, squashes, salads etc. The main guideline is to keep families together; if a section is to hold more than one family, try to keep those with similar growing requirements together e.g., potatoes and pumpkins like lots of organic matter. Using a bed system can make planning a rotation easier. Take lots of photos and make notes as it’s easy to forget where you grew something a year or to ago. The following is a guideline. You may not want (or need) to follow this rotation at first. However, after a couple of seasons you may start to wonder what can be planted in the gaps. This should help with your planning. It’s a popular plan that many people use and has worked well for us. People Like Bunches of Roses is an acronym I heard recently that may help you to remember the rotation. 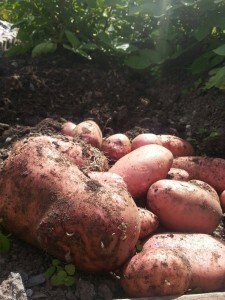 In this four-year rotation the potatoes and squashes are planted first (Bed 1) as the potatoes break up the soil nicely. In year 2 the legumes (peas & beans) will be planted in Bed 1 as they will fix nitrogen into the soil for the Brassica (cabbages) that will follow. 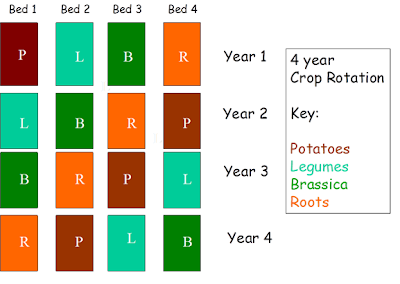 Therefore in year 3 the leafy crops (Brassica) will be planted in bed 1 and lastly in year 4 the roots and others can be planted in bed 1 as they are the least demanding of the crops. You may also find it useful to use a five-year rotation, rotating the Allium (onion) family separately. Whichever you decide, avoid leaving the soil empty. 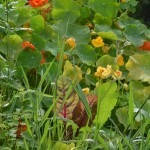 Either cover it when not in use with carpet or similar or plant a green manure or a crop into it. These are the biggest feeders. In the autumn months (once the root crops have been cleared), apply well-rotted manure or compost or grow a green manure such as grazing rye. In spring, dig in the green manure (grazing rye) and if you didn’t have the opportunity to manure, or have sandy soil, apply manure or compost now, leaving a few weeks between manuring and sowing if you can. After harvesting the potatoes, plant anything from the legume family. 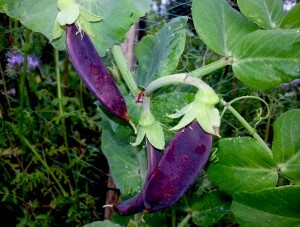 The Legumes. These fix nitrogen themselves so do not require extra manure. They will benefit from leaf mould mulch once they’ve been planted out however (to improve soil structure). Once harvested, sow a nitrogen-fixing green manure such as winter tares, check the soil pH and add lime in the autumn if necessary. 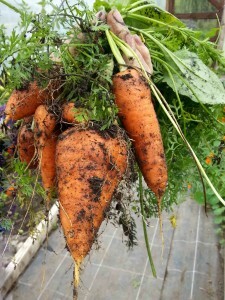 Mostly comprises of root crops but miscellaneous crops fit in well here too. They don’t need much feeding, as they’ll use up everything that’s leftover from previous crops. Apply compost in the spring where Allium, celery, leafbeet and sweetcorn will grow. 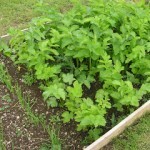 Sow a green manure (such as grazing rye) over winter, ready for the potatoes in the spring. If you only have one or two small beds, don’t worry. Just divide them into four with bamboo or hazel sticks and plant your vegetable families in the different squares or rectangles. You may also find that you plant more Allium (onions) than Brassica. It doesn’t matter. As long as you aim to keep the vegetable families apart for as long as possible, you’ll have done your best. 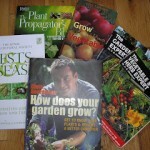 For a very easy to follow and simple visual explanation check out this great video from Monty Don on Gardeners World. Do you practice this version of crop rotation or a different one? Do you find it works? Glad to help, what level and where are you studying?